Defense Secretary Jim Mattis says he doesn’t see the U.S. relationship with China worsening despite reports that his tentative plans to visit the country later this month appear to be canceled. Mattis told reporters Monday traveling with him to Paris that the U.S. just has to learn how to manage its relationship with the communist nation. U.S. defense officials told The Associated Press earlier Monday that Mattis dropped plans to visit China amid rising tensions between U.S. and Beijing. The officials spoke on condition of anonymity to discuss internal planning. Relations between the U.S. and China have deteriorated as escalating trade disputes and tariff hikes have been exacerbated by a newly announced U.S. military equipment sale to Taiwan and some recent military operations. 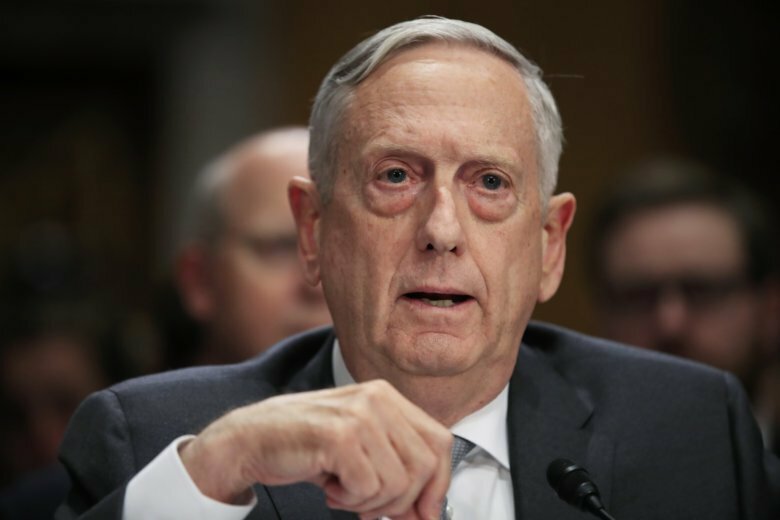 U.S. defense officials say Defense Secretary Jim Mattis has dropped plans to visit China amid rising tensions between Beijing and Washington. Although the trip was never publicly announced, Mattis had planned to visit Beijing in October for so-called 2-plus-2 security talks with his Chinese counterpart as well as Secretary of State Mike Pompeo and Pompeo’s counterpart. The Pentagon has made no public statement about Mattis’ change of plans. Defense officials confirmed news reports of the cancelled meeting. The officials spoke on condition of anonymity to discuss internal planning. Recent tensions between the U.S. and China are rooted in trade and tariff disputes, but the conflict has begun spilling over into the military arena.